Moro Blood Oranges are a unique species of orange. 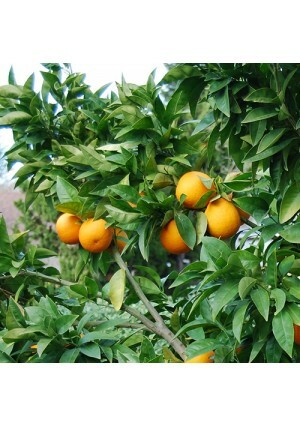 The fruits are red fleshed and have a hint of raspberry when juiced.These oranges are definitely taste-pleasers and make an exceptional presentation in a variety of dishes.Moro Blood is a very beautiful ornamental orange.The tree is evergreen and can grow to heights of 12- 15 feet when planted outdoors. The Moro Blood Orange is cold hardy in USDA Growing Zones 9-11. It can be kept as a container-grown plant in all other growing zones if it is brought indoors for the winter.